The calm clear waters of The Maltese Islands and the relaxed apres-dive atmosphere of Gozo make it a great place to build your Stress & Rescue Skills. 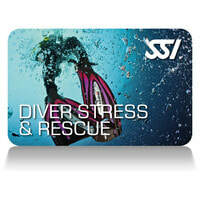 SSI knows that stress is a major factor in diving accidents and rescues, so has added stress recognition and management to their rescue course. During the course our experienced instructors will teach you everything needed to recognise and deal with stress, prevent accidents and safely handle emergency situations encountered by divers. In the end, by doing this course, you will increase your own confidence as a diver as well as the confidence other divers have in you. 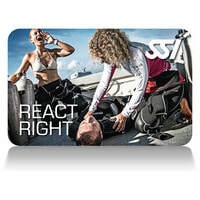 If you are not a certified First Aid provider, or your certification is more than two years old, ask about the React Right and Diver Stress & Rescue Bundle. First Aid more than two years old?